In her role as CEO and founder of Jackson River, Alice helps nonprofit organizations find creative, people-oriented solutions to complex strategy and technology problems. In her 20+ years working with mission-driven organizations, she has provided executive coaching, organization development, process design, and staffing strategy to nonprofit leaders across the sector. 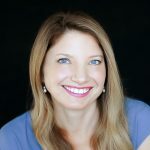 Alice is an expert in cause marketing, online fundraising, political engagement, website strategy, social and mobile media, marketing automation, and brand empowerment. But her particular gift lies in identifying the emotional intelligence and wisdom within nonprofits and offering a holistic approach to organizational change. She co-founded Jackson River in 2008 out of the belief that the nonprofit sector deserves access to powerful, corporate-scale technologies. By the numbers, she counts 20+ years working exclusively with nonprofits; 200+ causes assisted; and too many RFP processes to count.